Conservationists have sounded the alarm, as the population of yellow-eyed penguins is dramatically shrinking. During its latest survey of Whenua Hou (Codfish Island), New Zealand's Department of Conservation made the worrying discovery that almost half of the breeding population of yellow-eyed penguins (hoiho) that take sanctuary on the island had disappeared. 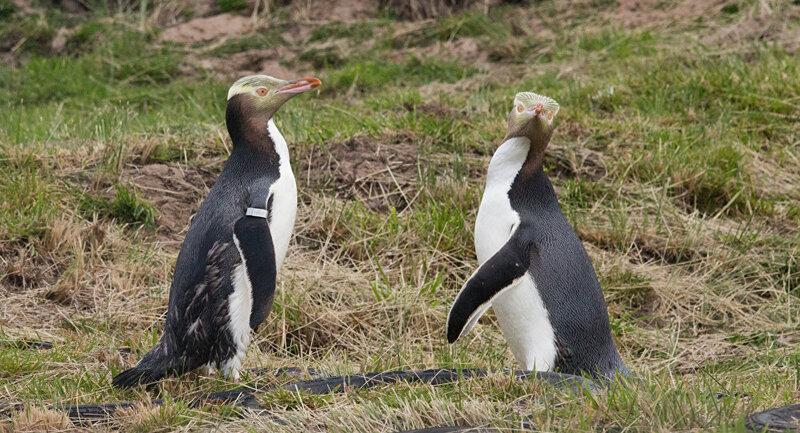 The rangers found that the number of hoiho nests on the island has shrunk from 24 to 14 in less than a year, while the population of yellow-eyed penguins in other parts of New Zealand has dropped to its lowest level in some 27 years. This is an alarming trend, since the hoiho is already the world's rarest penguin breed; the birds' population plummeted from 7,000 in 2000 to less than 1,800 this year. Speaking to Otago Daily Times, Thomas Matter, a penguin expert at the University of Otago, indicated that the bird is highly likely to go extinct. 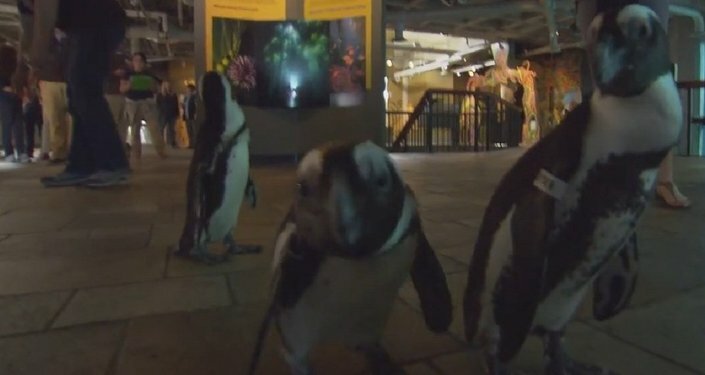 "Quite frankly, the yellow-eyed penguins, in my professional opinion, are on their way out." General Manager of the Yellow-eyed Penguin Trust Sue Murray has told the Guardian that although conservation groups make every effort to save the hoiho, the birds are facing numerous threats that range from wild dogs to a hostile marine environment. "The trust has huge concerns for the future of hoiho on Whenua Hou, given their rapid decline." "Our focus must be the marine environment, where hoiho spend at least half of their life as it is unlikely that terrestrial impacts are a major factor in the decline here." Further investigation into the Whenua Hou sanctuary indeed revealed that commercial fishing is probably responsible for the decreasing penguin numbers as the island is free of predators. Chief Executive of the Royal Forest and Bird Protection Society of New Zealand Kevin Hague was quoted by the Guardian as saying that there is evidence of birds being caught and drowned in the fishing nets of commercial trawlers. "Unlike previous years where disease and high temperatures caused deaths on land, this year birds have disappeared at sea." "There is an active set net fishery within the penguins' Whenua Hou foraging ground, and the indications are that nearly half the Whenua Hou hoiho population has been drowned in one or more of these nets," he added. Hague urged that more oversight over commercial fishing businesses is urgently needed, since only 3% of trawlers are supervised by independent observers, who report bycatch deaths.